Two piece capping for covering joins. Attach base section under boards (A) and knock in the “T” section (B) to cover. 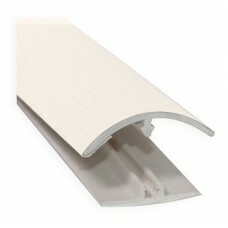 Knock in T, plastic cover trim, 20mm, top section (B). Colour: Cream. 2.5 Metres.